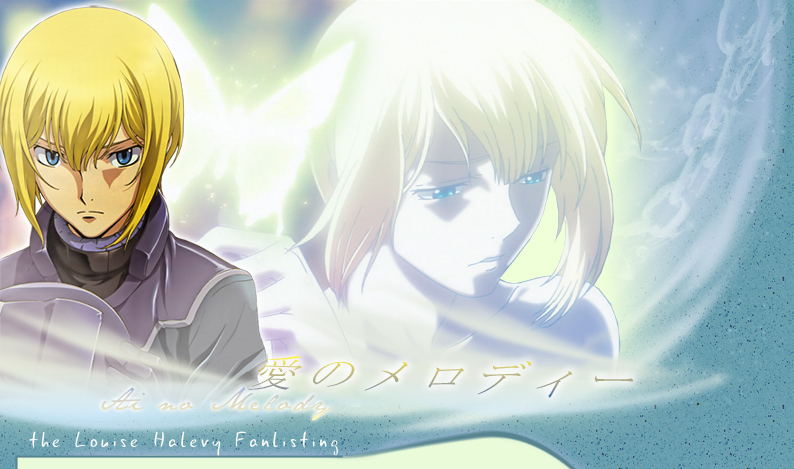 → You reached Ai no Melody, the fanlisting dedicated to Louise Halevy, character of the series Kidou Senshi Gundam 00. And... this is the second version of this fanlisting!! *--* I'm proud to own it, since Louise is a character that (till now) had not deluded me and I continue to love her. Louise & Kidou Senshi Gundam 00 are property of Sunrise all rights reserved. Layout and contents are ©Miriallia, do not steal, copy or reproduce without my permission.